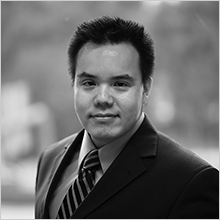 Jonathan Lee is an associate with Capstone Law, where he primarily litigates employment class actions. In his years at Capstone, Jonathan has worked on several major class certifications and multi-million dollar class settlements against various employers, including restaurant chains, retail stores, airport staffing companies, and hospitals. Prior to joining Capstone, Jonathan defended employers and insurance companies in workers’ compensation actions throughout California. Jonathan graduated in 2009 from Pepperdine University School of Law, where he served as an editor for the Journal of Business, Entrepreneurship and the Law; he received his undergraduate degree from UCLA. Jonathan is admitted to practice in California and before the United States District Court for the Northern, Eastern, Central, and Southern Districts of California.